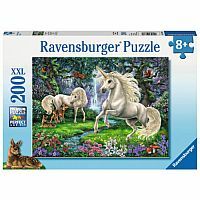 Assemble the Ravensburger Mystical Unicorns Jigsaw Puzzle to reveal unicorns prancing in a flower-filled meadow, complete with waterfall. 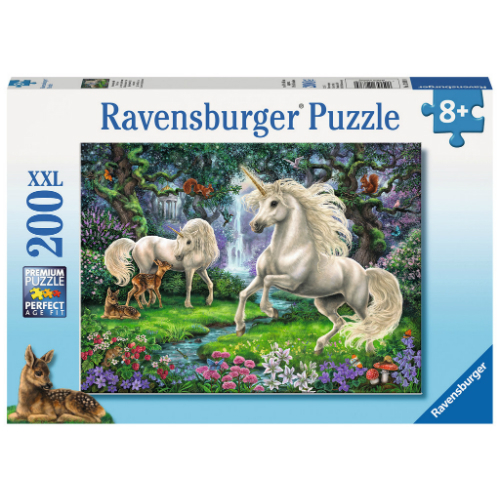 This beautiful unicorn themes jigsaw puzzle has 200 slightly larger pieces for younger children or for adults who need a larger piece size. 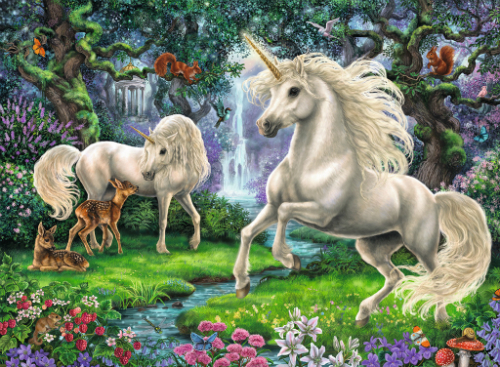 Completed puzzle size: 19" x 14".